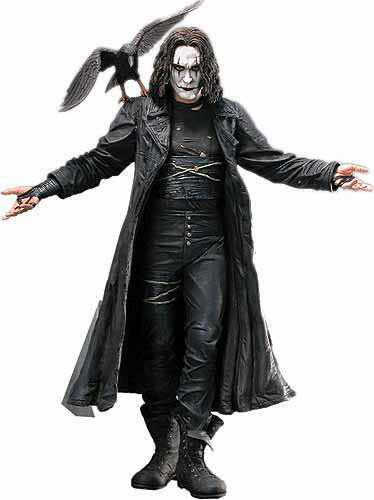 The Remake of The Crow Will Star….. It seems that the head execs in charge of remaking the franchise, “The Crow” have put out an offer to none other than Mark Wahlberg. No word yet on whether or not he will accept this offer, but time will tell. I think this is a very interesting choice. Not a poor choice by any means, but an interesting an weird choice. Nick Cave (Yes that Nick Cave) has written a brutal screenplay and Wahlberg just doesn’t scream out tortured soul to me. I mean I love his work in a lot of his movies, but I would like to see what other choices are out there before Wahlberg says YES. Who would you want as THE CROW? This entry was posted on Tuesday, October 19th, 2010 at 3:31 pm	and is filed under News. You can follow any responses to this entry through the RSS 2.0 feed. You can leave a response, or trackback from your own site. « Blu-Ray/DVD Releases for the 3rd Week of October….